Serena Williams — tennis hero, philanthropist, badass mom and general role model — seems to live a pretty great life. Like, I know "having it all" is a myth, but she seems to have gotten just about as close as a person can. Case in point? When she's not busy crushing tennis records all around the world, she's married to the dreamy Alexis Ohanian with whom she has one daughter. 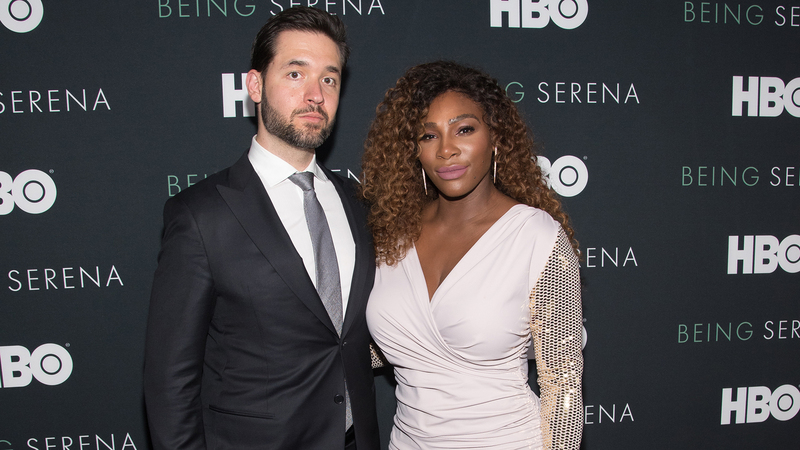 The cofounder of Reddit, Ohanian and Williams have no shortage of funds to fuel their romantic adventures, as demonstrated over the weekend. The story goes something like this. Williams had a craving for Italian food (#relatable). Instead of whipping up a dinner of watery spaghetti or taking her to one of the finest restaurants in town, Ohanian straight-up took her and their daughter to Italy — Venice to be exact. We can only assume Williams got her fill of authentic Italian food on their vacation, but we also wouldn't blame her if she didn't manage to leave the luxurious room they stayed in at L'Albereta Relais & Châteaux. Williams posted a drone video of their digs, and all I can say is, "Woooow!" The couple is back stateside now, but seriously, they've set a new bar for how to fulfill your partner's craving. Then again, I'd be just as happy if my spouse surprised me with a pizza after work.